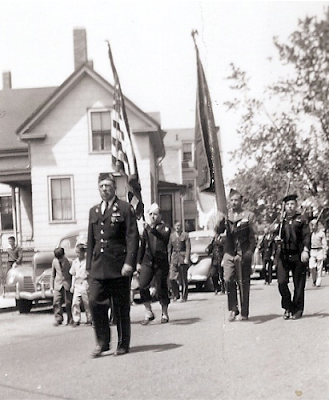 Veterans parade down Center Street near Everett Square in the late 1940s on the occasion of Memorial Day. 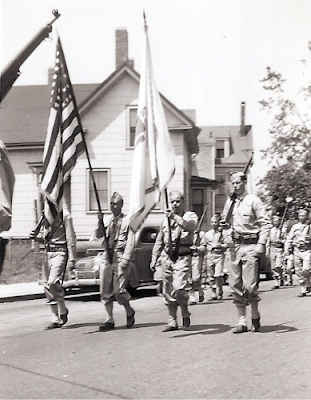 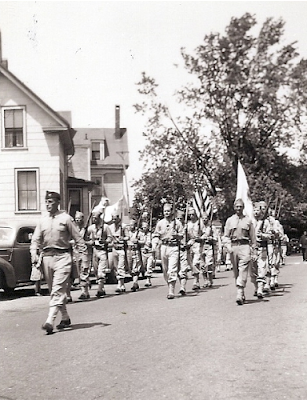 Parades such as this provided the community an opportunity to publicly recognize its veterans on the holiday once known as Decoration Day when local residents decorated the graves of family members and loved ones. Memorial Day observances with a parade and ceremonies at the Central Cemetery remain a Middleborough tradition.